Denise Robinson in Dracut, Massachusetts, is furious after she says her 7-year-old daughter's school shaved her head without permission. Tru attends the Little Heroes Group Home for severe emotional issues. 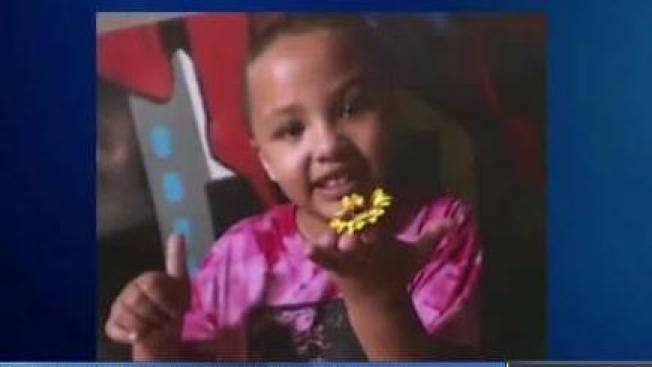 A Dracut, Massachusetts mother is angry after she says someone shaved her daughter's head at school. "I am very upset. And I'm not going to stop being upset because I feel like my child was assaulted and violated." Denise Robinson says she was never contacted or asked permission to shave her 7-year-old daughter's head. Tru attends the Little Heroes Group Home in Dracut because she has severe emotional issues. Tru stays at the home certain nights of the week, and Robinson says she was furious with the school when her daughter came home with a shaved head. Robinson says her daughter Tru had a full head of long hair when she last had her. "Tru's hair was down her back. It's very long." Robinson says no one ever called her. "I was told a clinician gave permission to Tru to have this haircut done." "The program employs a diverse staff that is attentive to the needs of all children. Decisions regarding grooming are based on a variety of factors, including hygiene." Robinson says she's not satisfied with the response. "There was no hygenical reason for them to shave my child’s head. There was no head lice. There was no bed bugs. There was no what I refer to as rasta locks going on," Robinson said. "Her hair was two pony tails on the side on Saturday and it was braided in the ponytails and there was nothing wrong." Little Heroes says they are reviewing what happened. DCF will not say whether or not they are investigating. Robinson says she was told by the program's director that they would call her regarding anything with her daughter, and she just hopes that they keep that promise.